Safely exploring wild, wonderful W.Va. This past week, West Virginians across the Mountain State celebrated Independence Day with family and friends. Whether your summer plan included taking a long weekend to explore some of what our state has to offer or making plans for annual family get-togethers, I encourage you to be smart and safe all summer long. Whether you’re hiking, swimming, boating, fishing, or enjoying our other outdoor opportunities, remember to obey the safety precautions of each activity. That includes wearing personal floatation devices in and around water. To help shed light on the importance of summer safety, the West Virginia Division of Natural Resources is ramping up its “Operation Life Jacket” campaign. This initiative is designed to highlight the importance of wearing a life jacket, regardless of age, while bringing awareness to the dangers of water currents. Since the beginning of June, five deaths by drowning in natural bodies of water have been reported in our state. According to the Centers for Disease Control and Prevention (CDC), from 2005 to 2009, there was an average of 3,533 fatal drownings per year that were non-boating related. That’s about 10 deaths per day – a number that can be reduced by taking necessary water safety precautions this summer. Life jackets are just one of the many ways to reduce this increasing death rate and risk of injury. According to the CDC, half of all boating deaths and other deaths related to water recreation can be prevented with the use of life jackets. For more information, visit www.wvcommerce.org/operationlifejacket. Take the online safety pledge to help ensure a fun and safe summer for all in the Mountain State. Gov. 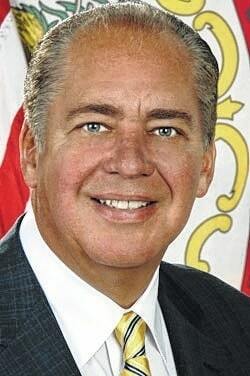 Earl Ray Tomblin is the 35th and current Governor of West Virginia. He can be reached at 304-558-2000 or 1-888-438-2731. Follow on Twitter @GovTomblin.